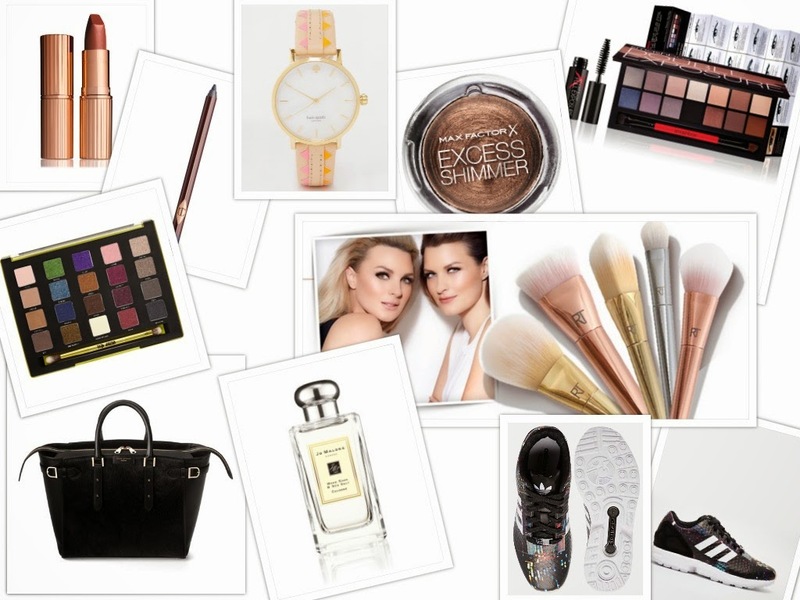 So after a long old time of watching lots of '2014 favourites' videos, excessive online window shopping and instagram perusing, my current wish list has grown quite considerably! Pay day cannot come soon enough! So, what am I lusting after at the minute...? Charlotte Tilbury - pretty much anything from this makeup artist extraordinaire's range. I've heard endless great things about her makeup, the lipsticks and rock 'n' kohl liners in particular. Max Factor Excess Shimmer Eyeshadow - this one definitely came from youtuber recommendations. I'm a sucker for a bronze eyeshadow, and this one look beautiful! After loving the Max Factor False Lash Effect Waterproof Mascara, I'm definitely tempted to try more from the brand. I can see this one making it into my basket on my next Boots shop! Smashbox Double Exposure Palette - a thing of pure beauty. Quite different shades to what I would normally go for in a palette, but I loved the first Full Exposure palette, so I'm sure I'd love this one too! Urban Decay Vice 3 Palette - another palette. I love the shade selection on this one, you certainly aren't short of options here. Not to mention, the formula of Urban Decay eyeshadows is amazing! Real Techniques Bold Metals Collection - as a lover of Real Techniques brushes, it's only natural that these made it to my wish list. I haven't seen this in person yet, but they are insanely gorgeous. I'm especially liking the look of the contour brush! Aspinal of London Bag - handbags are a such a love of mine! I'm loving the brand Aspinal of London at the minute. All of their designs are so classic and chic, this one would do nicely! Jo Malone Wood Sage & Sea Salt - I can't even remember how long this has been on my wish list for. I heard so many people rave about it and then eventually go to smell it last summer and wow! It's so different but so so good. This would definitely be my signature scent if I could afford it! Adidas ZX Flux Trainers - I'm a trainer gal, I really like wearing trainers for fashion and not just for function. Last year saw so many people go for monochrome trainers, as I didn't get any I thought these could be my alternative. Something nice for everyday, and also the gym of course! I actually ordered these already, can't wait for them to arrive! I really need to try the real technique brushes! & the trainers look right up my street (I'm a trainer girl too) I'm always after a pair of black trainers but can never find any i really like may have to take a look at those!